What reaction have you received so far from fans for your portrayal of Hank Hall? Overwhelmingly positive I would say. There's always a worry when you're bringing to life something with canon that goes back so far that you or the show won't be living up to people's expectations. Sometimes those expectations are born from their imagination or their version of perfection of whatever the story is. It's hard to meet that. And although you try not to think about it, it's there. For people to be overwhelmingly pleased with what we're doing, it's really exciting. You only do your best. and we're doing it for the fans. It makes them happy, so I'm happy! In the episodes we've seen so far with Hank, is there a moment or a line that you believe defines him? We learned this week that Hank was a survivor of abuse. How does that drive his mission as Hawk? Anytime there's a deep-seated, latent abuse of some kind, it really informs who we are. We build around our true self the versions of our ideal selves. I think for him it's retaliation, retribution, vengeance, and anger. A lot of that is self-deprecating in a sense. I share this quality with him. I don't really punish others in my life I when I feel like I've failed. I punish myself and I have a strong hunger for justice. So if I do see something happening, like somebody break into a car right in front of me -- I went and took him down hard and I waited there until the cops came -- I can't stomach that. With my failures in life, I'm not the kind of person that takes it out on somebody else. I think Hank is the same way. That's the irony I find in this character. That somehow the universe brought me to this guy who, for me, is an opportunity to look in the mirror and face a lot of the things that he's facing. It absolutely informs the choices you make down the road and who you are. I think maturing is about making tough decisions, and about whether or not that those decisions are being true to who you really are. There's a lot to unpack with him, and over the course of his journey I hope that we see through the ups and downs to some level of maturity, while not forsaking the hunger for justice. It's clear from the childhood flashbacks that Hank was a protector to brother Don. How does it affect Hank when he ultimately isn't able to save him? It leaves you with a million questions. We want to rewrite history in a way that helps us and others, and when you can't do that you're suddenly made aware of your mortality, your humanity, your limits, your imperfections. The imperfection of our world in this time and place, it leaves us wondering sometimes... I think it left him in a very vulnerable state. When that kind of tragedy unfolds for somebody it makes the world feel a lot more fragile and it makes us aware it can happen to anybody, anytime. On the one hand I think you hold extremely tight to those you love, which we see with his relationship with Dawn. Because you want to protect it and hold it as hard as you can. But you're more detached and slow to bond. So he's an island. What we find with him is this undying love for Dawn, this one safe haven that he's found. The scary thing is, what if something happens to her? For him to lose two people that he's just absolutely given himself to... I don't know what he would look like after that. We also get to see the beginning of Hank and Dawn's relationship in this week's episode. What is it that draws them to each other? There's an ease about her. There's a peacefulness about her. Opposites attract. He's pure magma and can easily leave a path of destruction, iinternally and externally. He sees the opposite in her: somebody more controlled and reserved and passive, but who still takes action. I think that's a turn-on for him. I think the reason there was a lot of chemistry onscreen between Minka and me is because that truly is our essence. I mean I'm just unbridled. If something is making me upset I can't help but let loose until something is righted, and she's just like "Okay, calm down." She has her moments too, but we are just this really interesting force of nature -- where we really ground each other in what we lack. I think that's coming through in these characters too. That's what draws him to her so much. You've mentioned how uncomfortable your costume was in your first episode ("Hawk and Dove"). How was it wearing Hank's proto Hawk suit in "Hank and Dawn"? The football pads? Oh yeah, you flip those over your head then you're good to go. Way easier! The suit that he's evolved into looks awesome. I love being able to don that, but the team of four people and the thirty minutes it takes to get in and then the four buckets of sweat that comes out when I take it off is no fun! [Laughs.] But all for the cause, y'know? 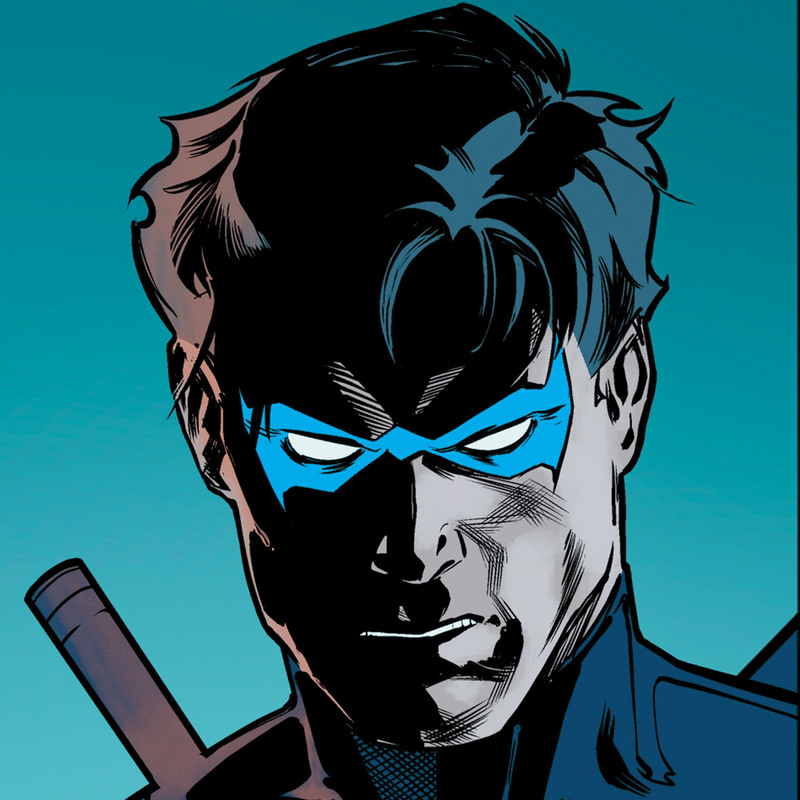 At the end of the episode, Hank and Dawn have been tasked with finding Jason Todd. It looks like we're gearing up towards a big finale. 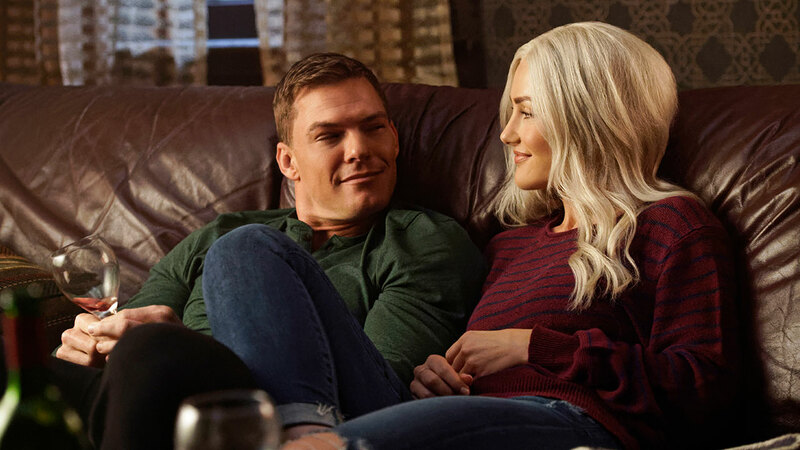 Without spoiling too much, can we expect to see Hawk and Dove back in action? Absolutely. Yeah, I don't think they'll be laying down arms anytime soon. I think Hank is lying to himself if he thinks he's going to be able to hang it up and relax. It doesn't exist in his DNA. I know that for myself to be true. We share a lot of similarities, and it's true for me. I can only imagine that I would never be able to just sit back and relax. I think that would be short-lived, that life. We're in the midst of Aqua-mania here at DC Universe, with the Aquaman movie coming coming out this month. Do you feel a sense of pride having been the first live-action Aquaman (in TV's Smallville)? [Laughs.] We kicked the whole thing off! I think Jason [Momoa] is an absolute beast. I really hope the best for him! 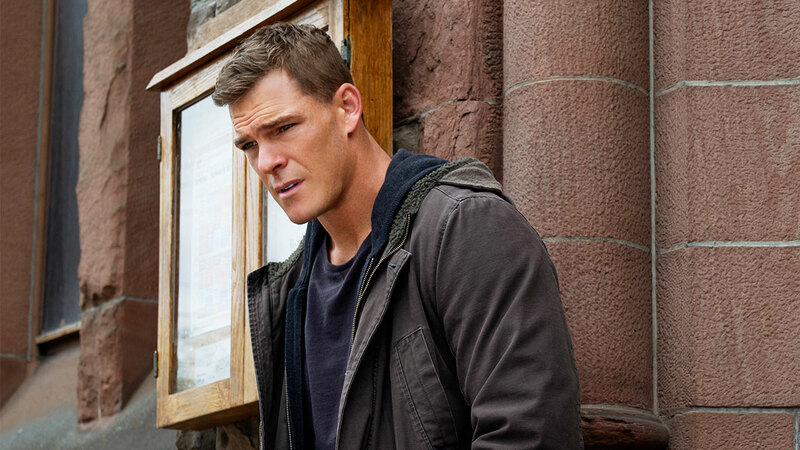 Are you enjoying Alan Ritchson as Hawk? Let us know in our Community!